← My Consoles Are Spying On Me, And That’s OK. So, after a few years of being very mad at Ubisoft for the ending of Assassin’s Creed III, this year has been the year when I’ve been catching up on the series. Recently, I’ve been playing Assassin’s Creed Rogue, the fourth and final game in the “Americas” trilogy, and I have a lot of positive thoughts about it. I’m still not fond of the modern-day elements being relegated to running around a software development company, but the main character is surprisingly likeable and the bulk of the game is spent with him sailing around Canada and New York and stabbing a lot of people who deserve stabbing. Granted, I’ve also stabbed quite a few people whose only crime was going for a stroll and stopping directly in front of an innocuous hay cart. I am starting to think that the real reason this series has never had a full-on modern-day entry is that, unless you want to set the whole damn thing in Amish Pennsylvania, you are unlikely to have hay carts just hanging around. 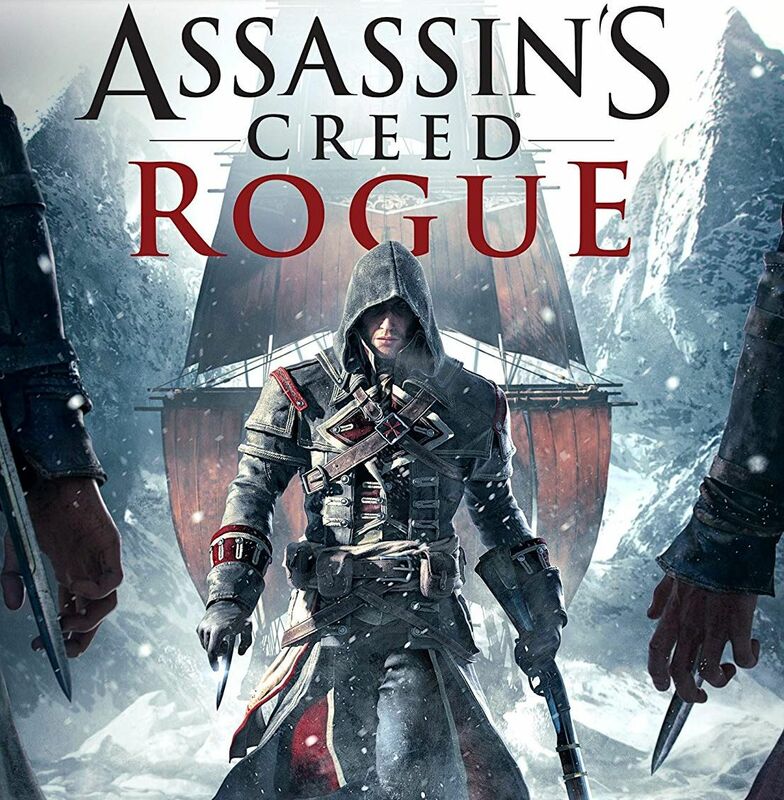 Rogue was the game released to have something on shelves for the PS3 and Xbox 360 when most people had moved on to the current-generation systems, so I think it gets overlooked at times. It did eventually get a remaster, and of course the PC version can be bumped up to quite reasonable graphics settings (I am getting a steady 60fps at 4k with all of the bells and whistles turned on, even on a 980GTX), so it hasn’t been entirely condemned to the last-generation ghetto, and this is a good thing. The concept of playing an Assassin who has made an enemy of all of the other assassins makes for some really good times – it turns out that having people jump out at YOU from innocuous hay carts is even more fun than lying in wait in them. Seriously. It’s so fun, even if I did get brutally murdered a few times before I learned to be more careful around hiding places. Anyway, while I have positive thoughts about the game in general, I wanted to mention one thing that has been making it even more of a joy, because it’s something that I have been doing wrong for the better part of a decade. 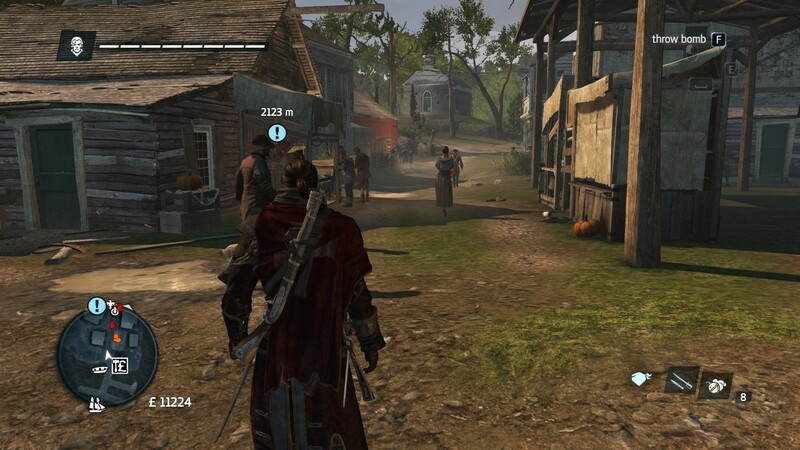 Here’s a screenshot from the game with my current settings. I’ve probably put two or three hundred hours, over the last decade, into different flavors of Ubisoft’s slightly-homicidal historical tourism, and I don’t want to think how much of that has been spent staring at the corners of the screen. It turns out that turning 75% of the game’s HUD off makes it a far better experience, because I’m actually paying attention to the middle of the screen. This probably isn’t a new discovery for most people, but it’s a real – pardon the expression – game-changer for me. The only complaint I have about this particular entry in the series is that the world is a little TOO distracting. I’m trying to be good and stick to the main story, but every time I bring up the world map it is covered with towers to climb and forts to take over and random buildings in need of urban renewal and just so many things that put a smile on my face when I’m doing them, even if I’ve done them a hundred times over in different Assassins Creed games before. There is a real temptation to turn this into a 40 or 50 hour marathon, and that would probably be a bad idea. 2 Responses to I’ve been stabbing mans wrong. 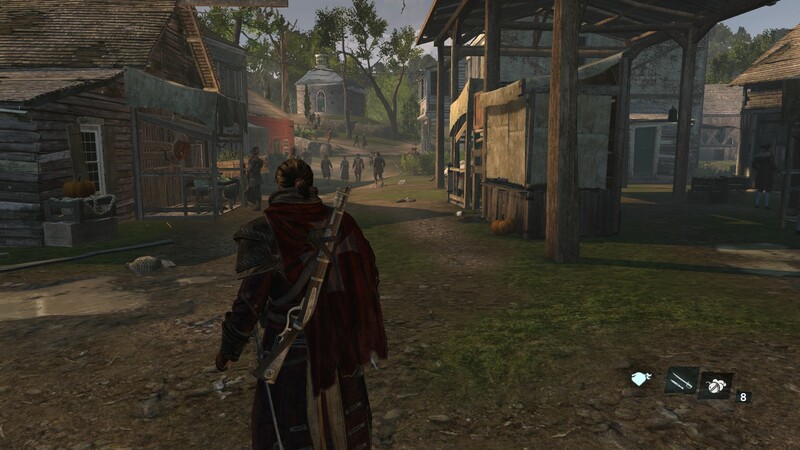 There’s a strong argument to be made for at the very least turning the mini-map off in open-world games, forcing you to navigate via landmarks (and develop an appreciation for world design in the process) — so long as you at least have a vague idea where you’re supposed to be going, of course. Of course, in games with terrible minimaps (Xenoblade Chronicles 2, I’m looking at you, though to their credit they have patched and improved that aspect considerably since launch) you end up having to do this anyway! The thumbnails of your related posts are reminding me of that bizarre period where Ubisoft promoted platform-exclusive content by how many “minutes” it was. 60 MINUTES OF EXCLUSIVE GAMEPLAY. Not a minute more, not a minute less! The mini-map and quest pointer in Xenoblade Chronicles 2 were just awful, especially with all of the elevated parts of maps. That was definitely a game that used “you always have access to fast travel!” as an crutch. My gold standard for games that let me play without a map is Shenmue II, because it’s set in a city – and most everyone understands how to get around in cities – and most of the buildings are different visually and there are signs everywhere. If someone tells you to go to X shop, you’ve probably run past it a few times already and you remember seeing the sign. I also like big worlds with roads that have signs at the crossroads, it really adds to the sense of being in-world and it’s something that I don’t see often enough. I’m going to try the mini-map-less life in more games going forward and see how it works. Thanks for the encouragement!